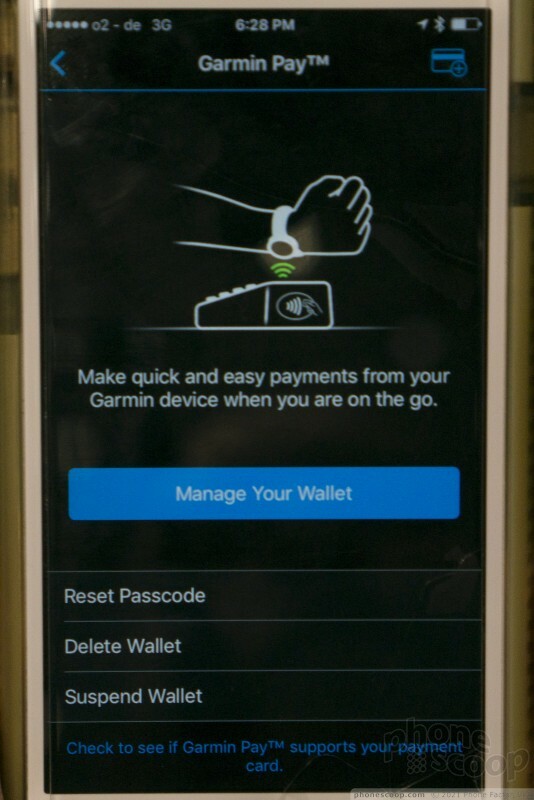 Updated: Updated Garmin Pay section. Garmin's latest entry in the wearable category is the Vivoactive 3, a fitness-focused watch that isn't as smart as those running Google's Android platform. 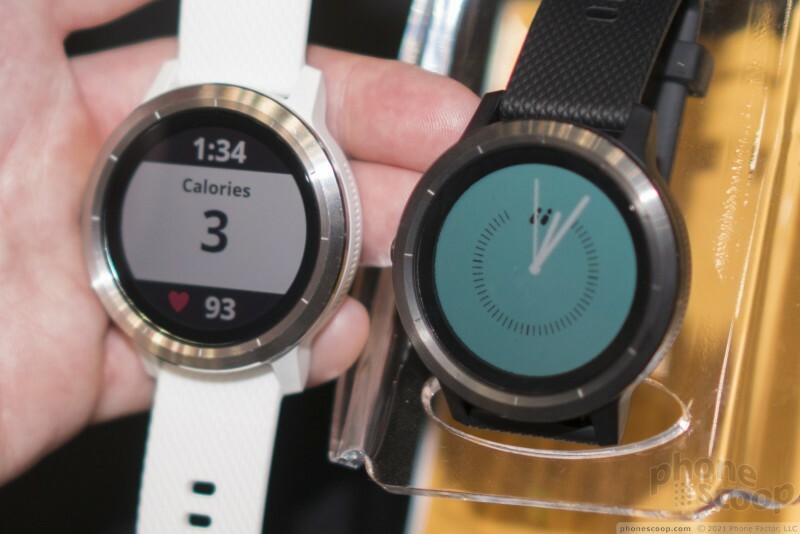 Rather than offer a whole range of features, it specifically targets those seeking a fitness device for tracking workouts and the like. 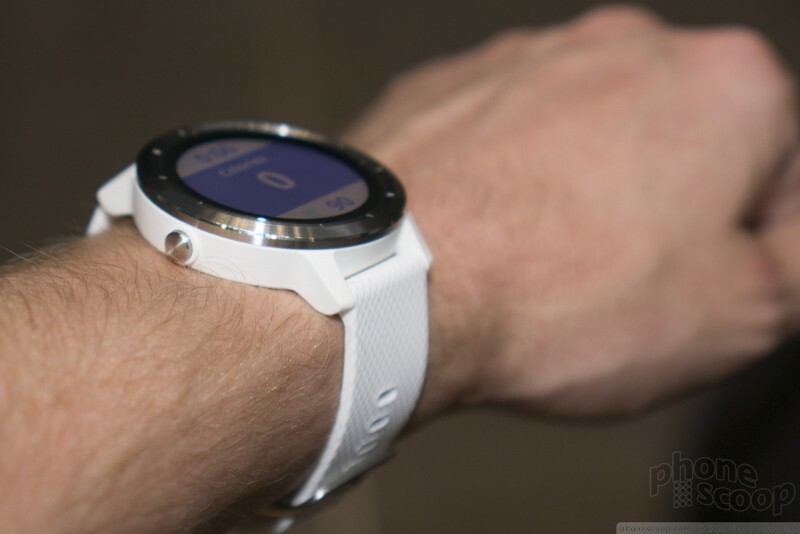 The Vivoactive 3 is made mostly of plastic. 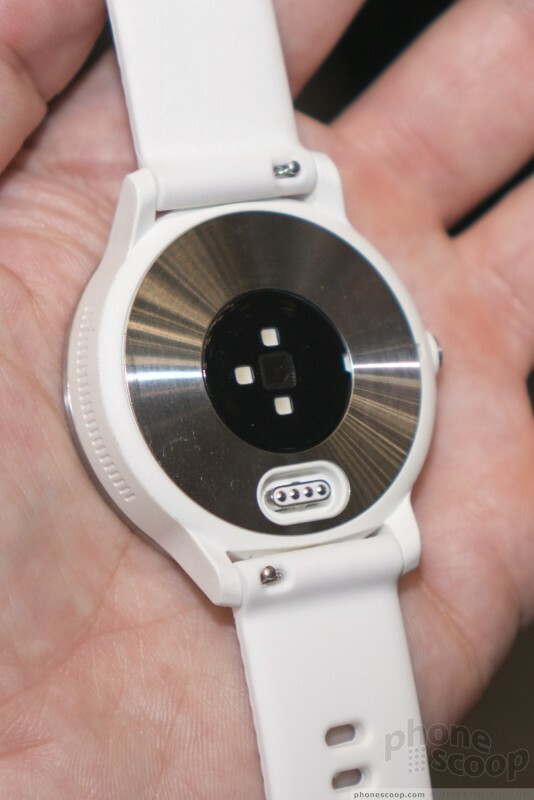 The straps and chassis share the same plastic materials, though the bezel comes in several shades of stainless steel (polished and matte black). You'll pay more for the dark color, which carries a $30 premium. I'm not going to pull my punches here. The hardware is garbage. 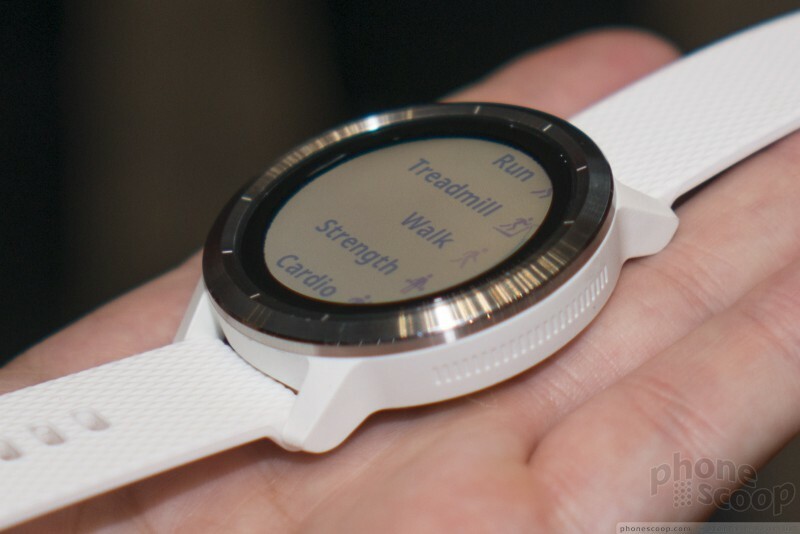 I've rarely encountered a wearable so cheap and flimsy. The plastics are of the worst variety and the entire assembly feels as though it's ready to fall apart. 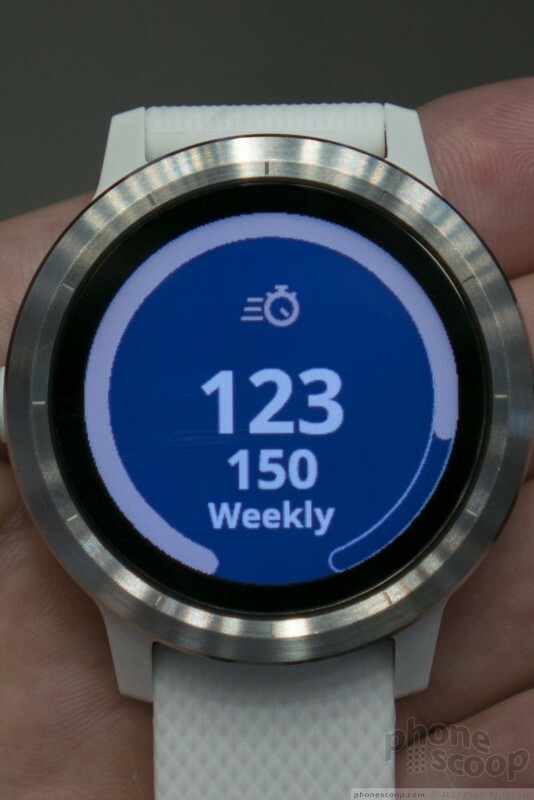 Garmin wouldn't say if we were looking at pre-production units or devices from the manufacturing line. 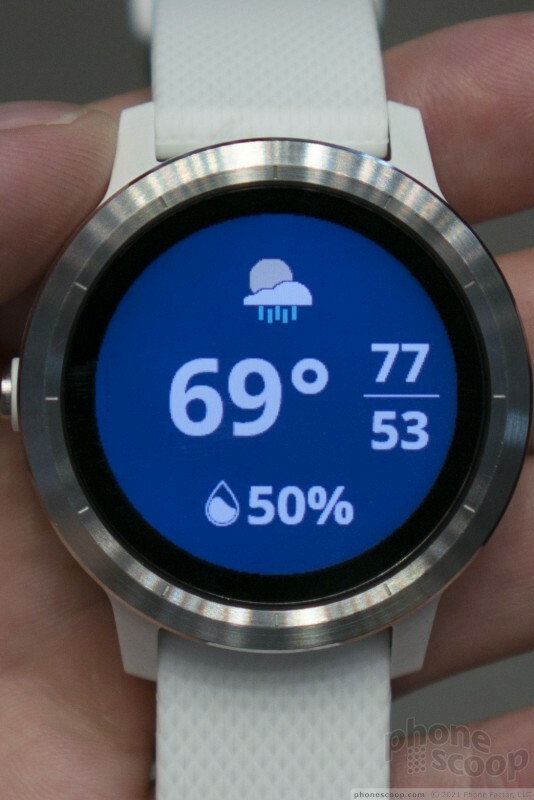 Seriously, this device feels like a $30 Timex you'd pick up at the Target on the weekend as an impulse buy. The screen measure 1.2 inches and carries 240 by 240 pixels. 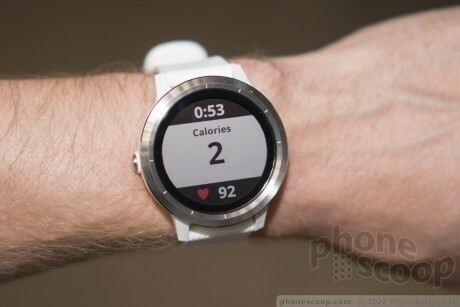 That's pretty low-resolution compared to most current smartwatches, but it suffices for Garmin's fitness apps. The screen is easy to read under bright light, which is more important than the resolution. 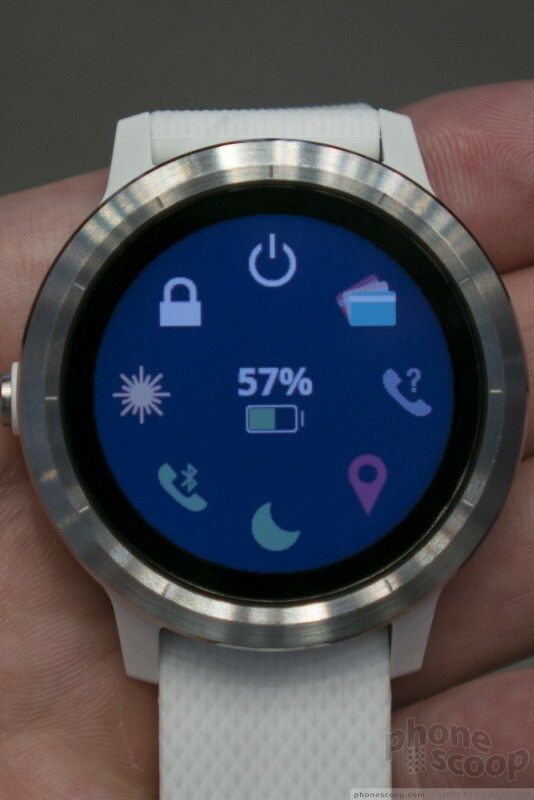 Basic features include the time/date, GPS syncing, auto time zones, alarm clock, timer, stopwatch, and Face It avatar creator (what?!?). 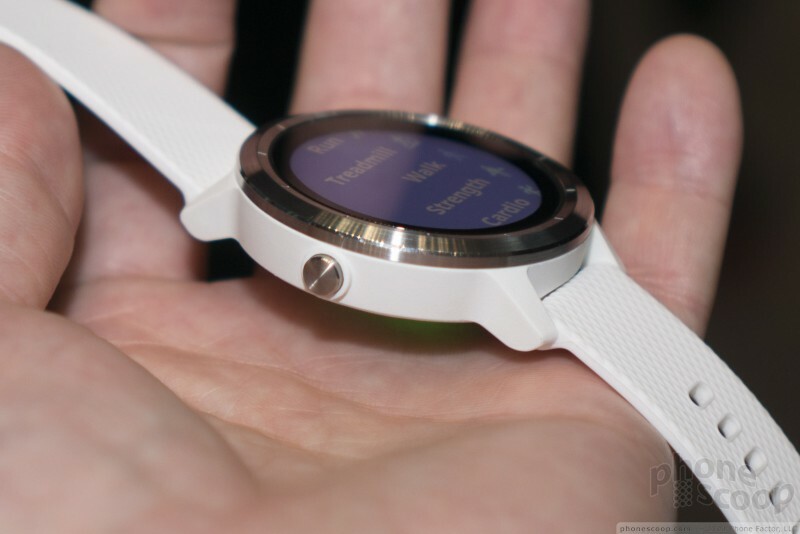 Sensors include GPS/Glonass, accelerometer, barometer, compass, temperature, and heart rate monitor. Radios include Bluetooth for talking to your phone and NFC for mobile payments. 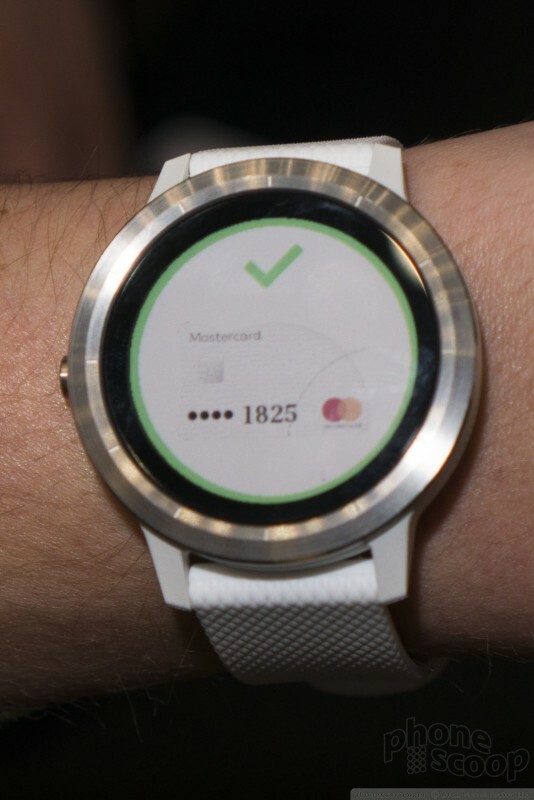 The mobile payments platform is "Garmin Pay", which is actually powered by FitPay. It works with Visa and MasterCard and should work anywhere that accepts tap payments. 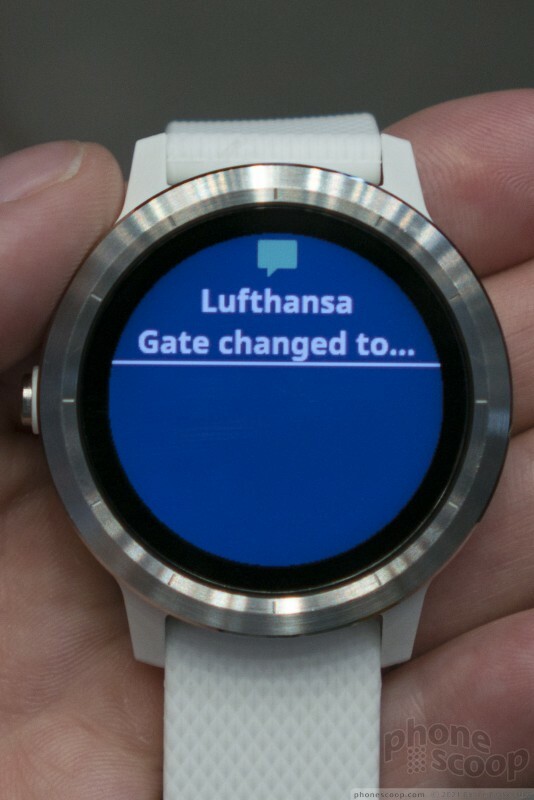 The device's software is dead simple to use. A single button in the side of the phone activate the main menu and also acts as a back key in certain circumstances. 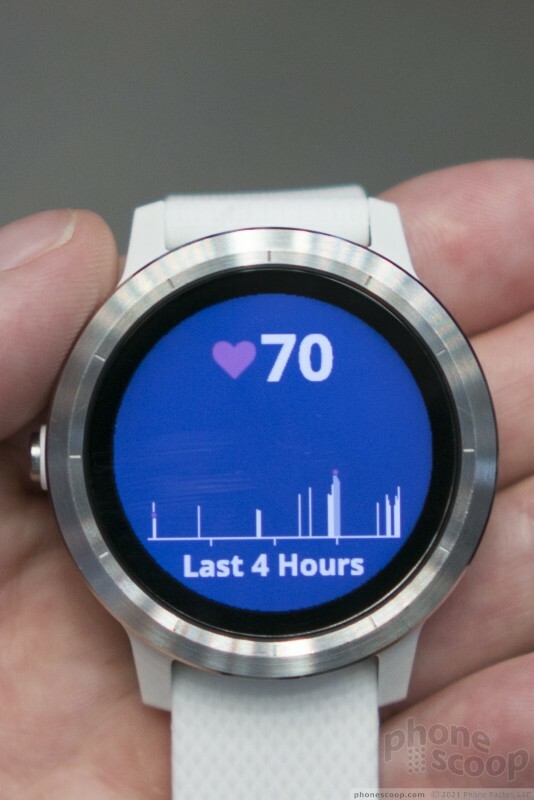 What's really neat is the capacitve touch area on the oppose side of the display that lets you cycle through the different use cases. 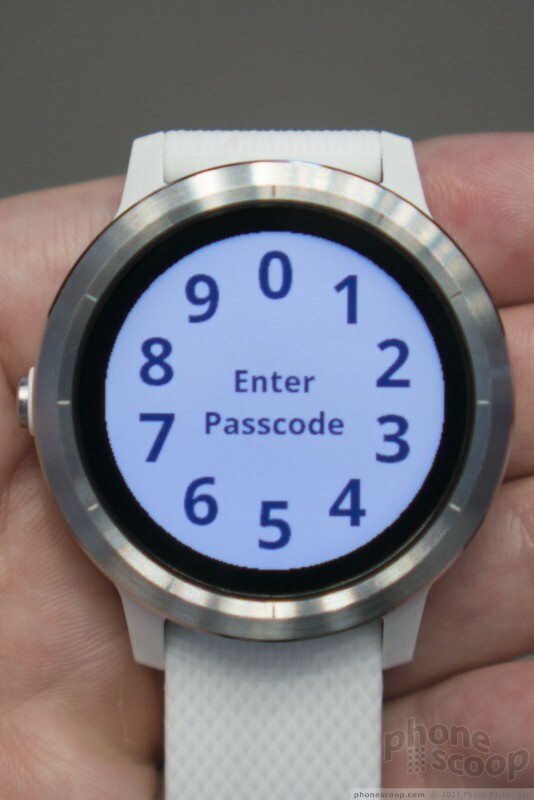 Simple swipe your finger up or down the side of the watch to switch between various functions. That's fairly unique for this class of device. The UI was buggy and slow, however, and didn't impress me much. Some of the icons were easy to confuse with one another. 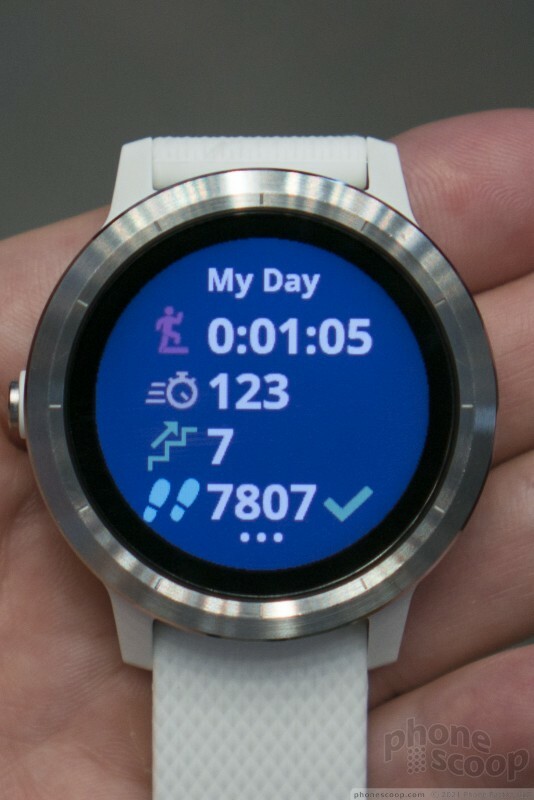 Garmin claims the battery life is up to 7 days in "smartwatch mode and up to 13 hours when tracking GPS-baased workouts. 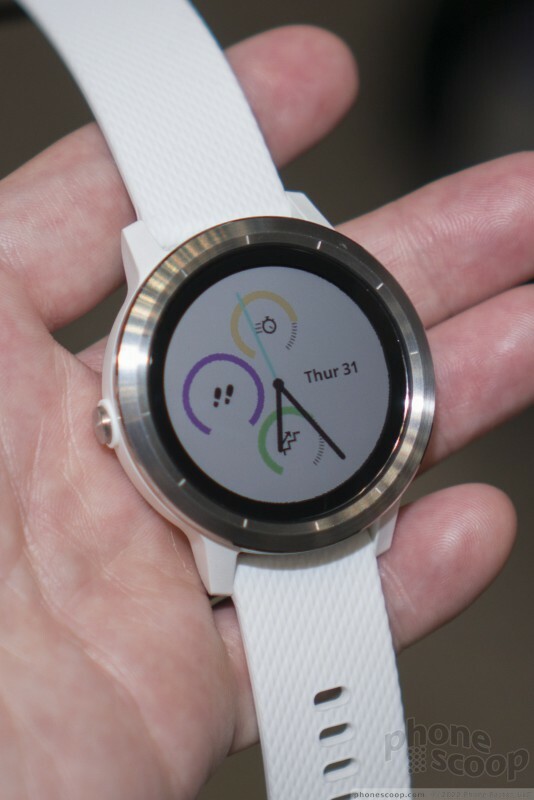 As far as actual smartwatch features are concerned, the Vivoactive 3 can handle text responses and call rejections on Android phones only For all phones, it can calendar, weather reports, "find my watch" and "find my phone." 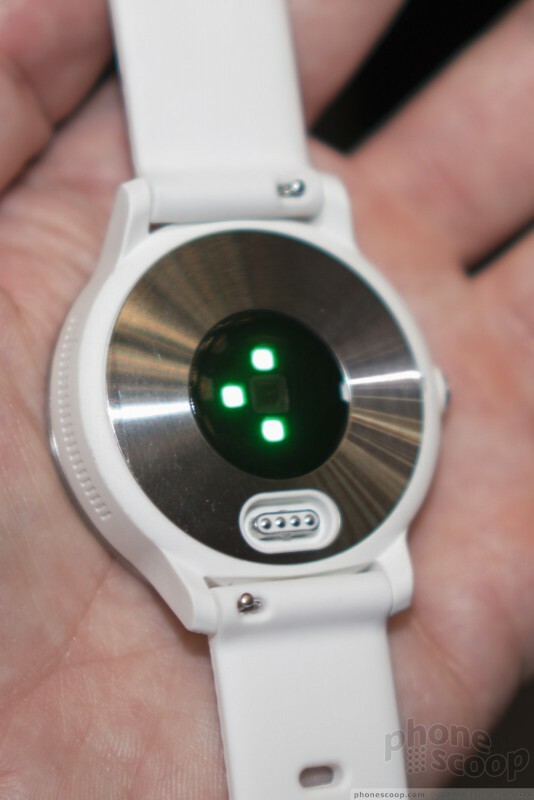 You can use it to monitor steps, distance, floors, calories, heart rate, sleep and (approx) age. It includes 15 pre-loaded fitness regimens you can follow and/or adjust. 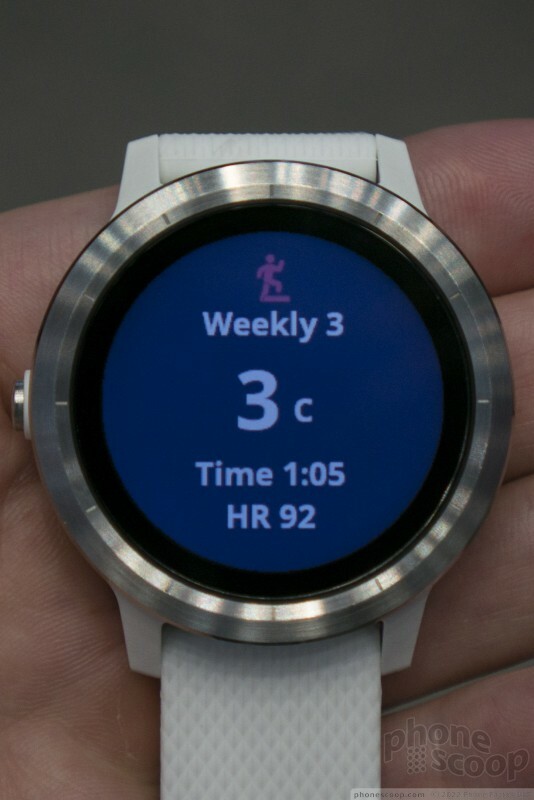 The Garmin Vivoactive 3 offers a fine, if simple, set of features, but the hardware just doesn't do it for me. At $300, it's way too expensive. 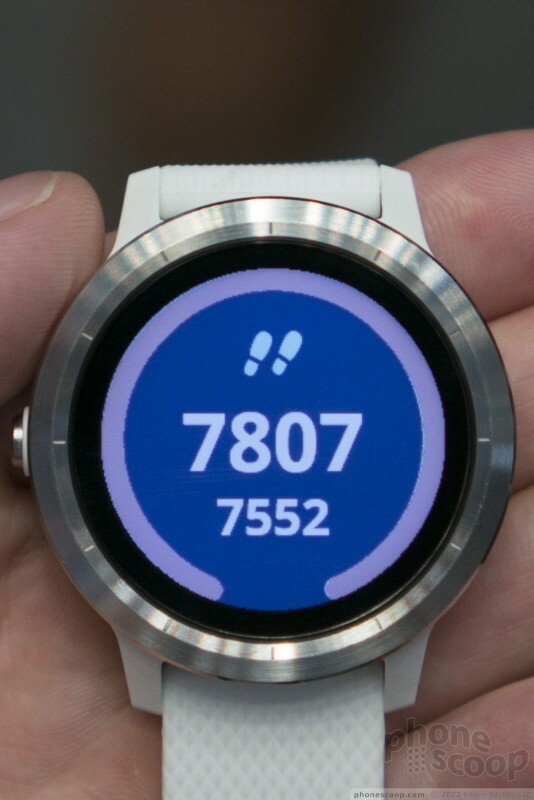 You'll be much better off buying a Series 1 Apple Watch for $279 or an Android Wear watch for potentially less. 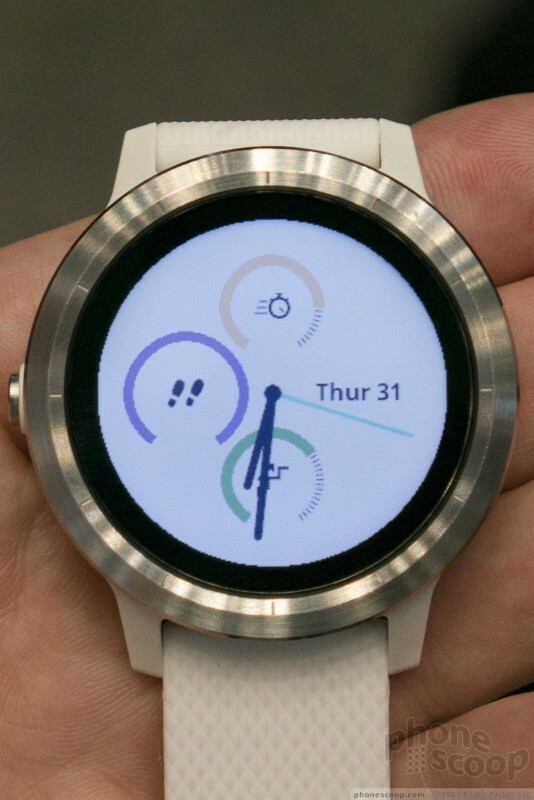 LG today announced the LG Watch Sport, which is among the first wearables to ship with Google's Android Wear 2.0 platform on board. 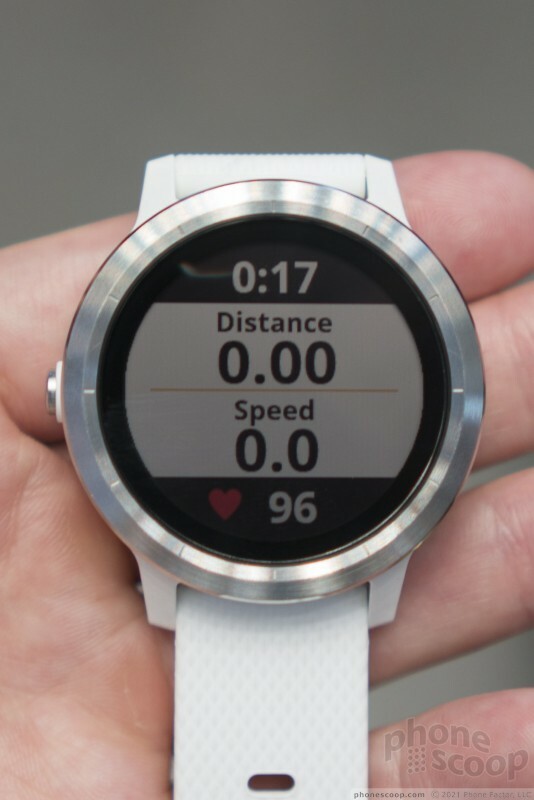 The Watch Sport is a circular, fitness-focused smartwatch that can track workouts and health data, such as distance covered and heart rate.